It's the holidays, and everyone is a bit strapped for cash this time of year. It is already pricey buying little gifties for each of your friends and immediate family (which grew exponentially this year, by the way...getting hitched will do that. Go figure.). Throw in the cost of outfitting yourself for the multiple holiday soirees, and "Houston, we have a problem." PS Funny random story....when John and I were first dating, I called the house phone at his parents place and his mom picked up. 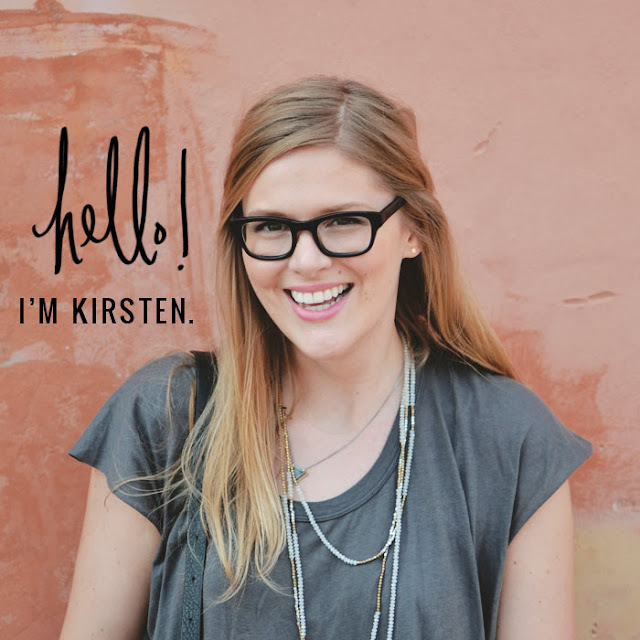 When she asked who it was, I told her Kirsten but she thought I said "Houston." Oh the wonders of my mumbling...it generates the most epic nicknames. But anyways, back to the whole holiday dressing dilemma. 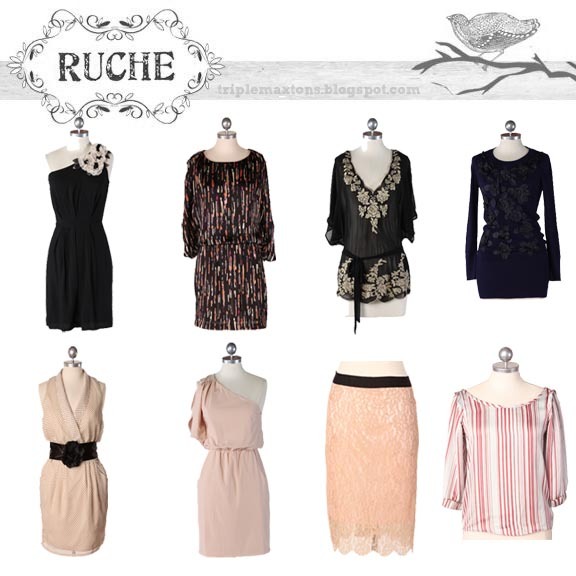 Enter Ruche, a vintage inspired boutique with a modern touch. Meet the owners, Mai and Josh Olivo, who just happen to be a super stylish and impossibly cute couple. As recent graduates and newlyweds, Mai and Josh were on a tight budget but Mai didn't want to sacrifice style. Initially launching Ruche while working full time jobs (shipping items during lunch breaks, developing the website themselves well into the wee hours of the morning), they decided to make the jump to leave their day jobs behind and run Ruche full time. Not only do these two seem genuinely happy doing what they do, they are good at it to boot. They promise to always keep our prices reasonable and strive for fun and friendly service - a credo I am definitely down with. Now, onto the goods...I selected a few pieces from Ruche that are perfect for family gatherings or formal fêtes. Don't forget to check out their selection of affordable baubles to top off any outfit! Here are some other great resources for outfitting yourself for the holidays on a budget...Spotted Moth, ModCloth, Cutiemus, and Spool No. 72! Happy shopping, dear readers!